HPG and YJA Star guerrillas spoke to the ANF on the Day of Resurrection, November 27. HPG Guerrilla Nizar Zeriker: PKK came out under tough conditions, when nobody had the courage to fight. PKK was born as an answer to fascism in the memory of Martyr Haki Karar. Policies of denial and annihilation were implemented on our people. Before our movement, the Kurdish people were experiencing death every day. The Kurdish people had been reduced to self-denial. With the birth of our movement, the fate of the Kurd changed. The Kurdish people actualized a resurrection with our movement. Since the founding of our movement, as much as the Turkish state tried to destroy our movement in the person of Leader Apo, the attempts were voided in the face of Leader Apo’s and our people’s resistance. Despite all attacks of the fascist state, they couldn’t succeed before Leader Apo’s philosophy and ideology. Our movement grew even more in the face of these attacks. And this brings our ever-growing movement closer to victory. We owe this success to Leader Apo and our martyrs. HPG Guerrilla Zerdeşt Rebin: The PKK movement set out with a handful of people, and today it mobilizes millions of people and plays a key role in the democratic rebuilding of the Middle East. Thus, the PKK has become the hope for freedom for both the Kurdish people and the peoples of the Middle East. In line with the motto, “We won’t live like before, and we won’t fight like before” set out for us by our Leader, we will increase the struggle even more. As a movement we will increase our fight in the mountains, in the cities and in all of Kurdistan and the Middle East if need be, and we will carry it to victory. I want to take this opportunity to celebrate the 39th anniversary of our party and the Day of Resurrection for the Kurdish people, first for Leader Apo, and the Kurdish people, those who resist in the mountains and in the dungeons, and the peoples of the Middle East. HPG Guerrilla Helgurt Merîwan: Until November 27, 1978, there were no signs of a nation, let alone an alliance, among the Kurdish people and politically they were very weak. 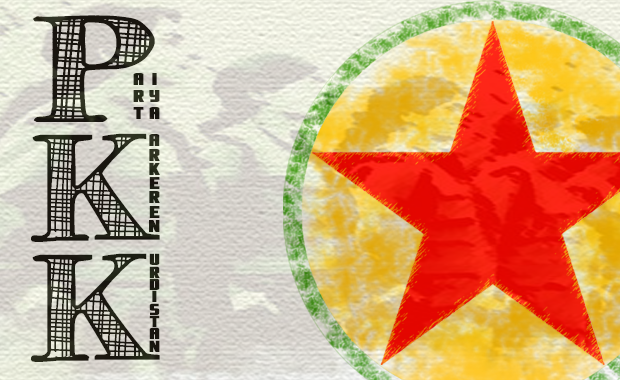 The founding of the PKK in this sense means a resurrection for the Kurdish people. Because after that, the Kurdish people experienced incredible, miraculous transformations and this change-transformation still continues in the positive sense. And we as the HPG guerrillas are stronger and better equipped than ever to protect the gains and sacred values trusted to us by the martyrs. Whether against attacks by gang organizations like ISIS and Al Nusra, or against fascist forces like Iran and Turkey, we will defend our gains and the lands of Kurdistan and we will stand by all the oppressed peoples of the world. PKK brought the Kurd from the times where they feared to say their name, and couldn’t speak their language, to the years filled with struggle and victory. Kurdistan is the relentless fight and ideology of our Leader who told the Middle East and the whole world of the Kurdish people and their rightful struggle. YJA Star Guerrilla Arjin Mêrdin: A lot changed in the Kurdish people’s lives since the PKK was founded. Before, the Kurd couldn’t even say they were Kurds. A people alienated from their own culture and language, is now experiencing their culture with the efforts of Leader Apo. On top of that, the women who had no value and no place in the society before the PKK movement organized again with our movement and have reached an amazing position and level of organization. The line of resistance by Beritan’s, Sara’s, Zilan’s carried the struggle of the women’s movement to this day. Today our movement is waging a magnificent resistance and war in all of Kurdistan. Against the fascist Turkish army, and their extension the ISIS gangs, our movement continues to resist. Our resistance will continue with determination until our people and our Leader Apo is free. HPG Guerilla Cudî Mîros. The Kurdish people are closer to freedom and unity than ever. Before the PKK movement, the Kurds in four parts of Kurdistan were separate from each other and they had migrated away from each other in the cultural sense as well. A national consciousness awoke among our people who got to know each other with our movement. The most beautiful examples of this can in Shengal, in resistances in Bakur, Bashur and Rojava Kurdistan where youth from different parts of Kurdistan fighting against ISIS or the fascist Turkish state in the same trenches. This spirit was created by the leadership of the PKK. This spirit of unity is the guarantee for the freedom of our people and our Leadership.